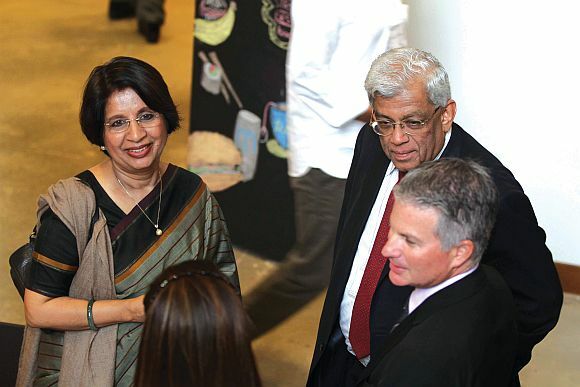 The shared security concerns and increasing business relations of America and India engaged several speakers, including Nirupama Rao, India's ambassador to the United States; and Dr Ashley Tellis, senior associate, Carnegie Endowment for International Peace. Along with 'deepening' security ties, Rao said the expanding economic dimension -- with bilateral trade crossing $100 billion this year -- was also significant. She emphasised that this was a two-way relationship, echoing facts mentioned earlier, like Indian firms were present in 43 US states and creating thousands of jobs across the country. She emphasized the two nations' shared values like secularism, market-based democracy and increasingly overlapping economic and security interests. Despite concerns that bilateral relations had ebbed somewhat since the US-India Civil Nuclear Agreement was signed in 2006, she noted that the 'strategic partnership' had deepened substantially. Both countries were willing to openly discuss sensitive third-country relations that once had to be avoided entirely. Rao said this was evident in the context of Iran, Afghanistan (the two nations' leaders recently engaged in a dialogue focused on partnering for Afghan stabilization), and China (the US and India are pursuing maritime cooperation in the Indian Ocean littoral). Tellis said India's rise was in America's interest as the geopolitical interests of the two countries were increasingly convergent, but warned that both countries would not always agree on every issue. It is then unsurprising that India's foreign policy since Independence has been largely defensive and reactive -- attempting to preserve its territorial integrity and regional status quo -- rather than outward-looking, proactive, and global agenda-shaping. Tellis said Washington policymakers with high hopes for engaging New Delhi must understand Indian foreign policy in the context of the country's domestic capabilities and regional realities. He identified three themes within Indian foreign policy -- that the abiding focus of Indian policymakers has been, and will remain, economic growth; that India's foreign policy would ultimately depend upon domestic state capacity-building efforts; and that India would continue to pursue 'strategic autonomy' in the near- and medium-term. For Washington, Tellis said, this meant New Delhi would not be a 'traditional ally,' but would have to be approached as a sui generis partner. Marshall M Bouton, president, Chicago Council on Global Affairs, and chairman, CASI International Advisory Board, said the US and India had reached 'unprecedented levels of cooperation' that would have been difficult, if not impossible, to imagine 20 years ago. 'Imagine the Indian government's response had US policymakers asked them to cooperate closely on stabilization and reconstruction efforts in Afghanistan (as they recently have done) in the early 1990s. 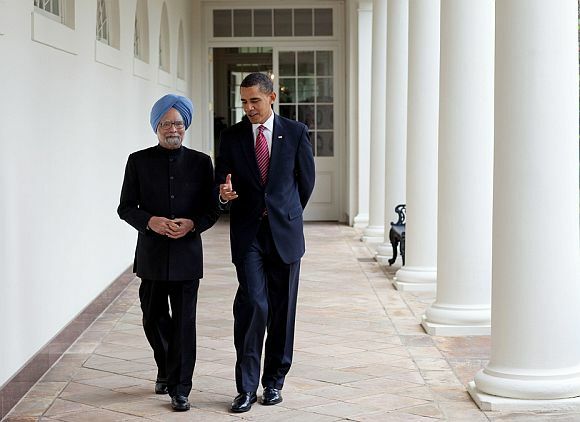 New Delhi would have balked outright,' he said. He said with the passage of the 2006 Civil Nuclear Agreement, the two nations managed to 'crack' one of the key 'nuts' (a decades-long stalemate over nuclear non-proliferation), paving the way for closer security ties. 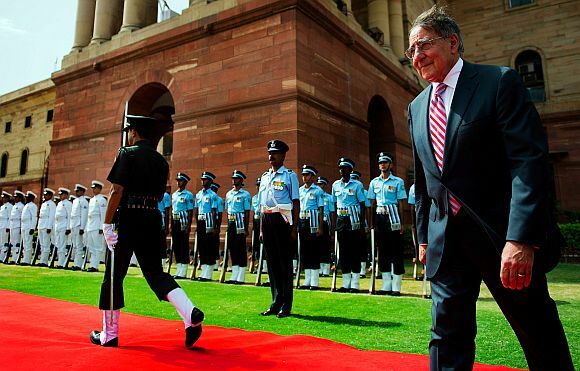 Bouton cited Defence Secretary Leon Panetta's visit to New Delhi in June to promote closer cooperation on a range of issues, including Afghan stabilization, regional counter-terrorism, and safeguarding global commons like cyber, space, and maritime-security. He also said the US had conducted more military exercises with India (approximately 56) than with any other nation in the world. But he cautioned against allowing the US-India relationship to become a 'transactional' one, which he implied may have become the case in recent years.